The Main Street office will be closed to observe the Veterans Day holiday. 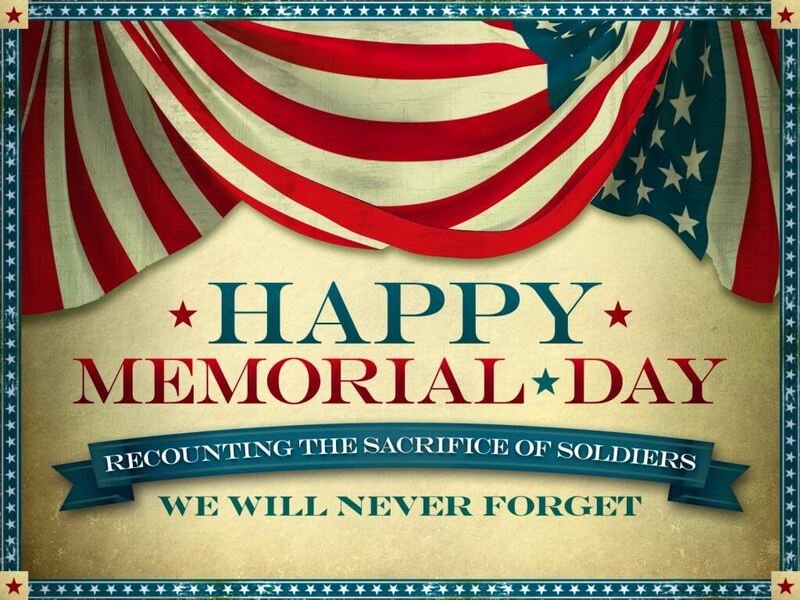 Thank you to our military personnel, current & former, for the sacrifices you have made for our freedom. Veterans Day is intended to honor and thank all military personnel who served the United States in all wars, particularly living veterans. 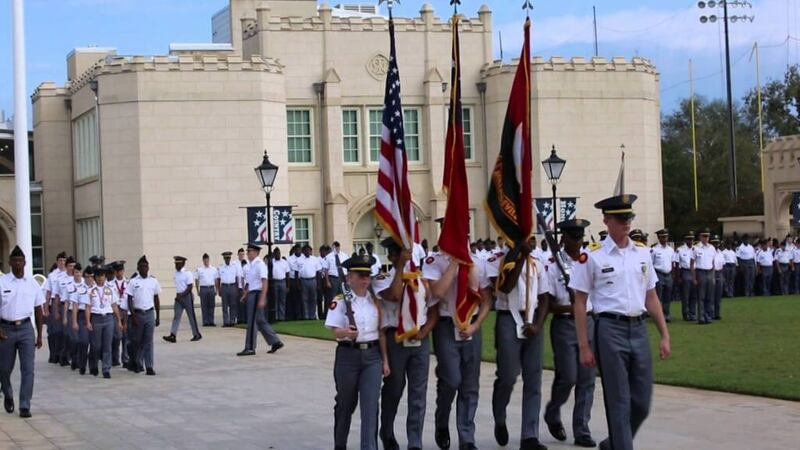 Veterans Day is officially observed on November 11. On the 11th hour of the 11th day of the 11th month of 1918 an armistice between Germany and the Allied nations came into effect. On November 11, 1919, Armistice Day was commemorated for the first time. In 1919, President Wilson proclaimed the day should be “filled with solemn pride in the heroism of those who died in the country’s service and with gratitude for the victory”. In 1926, the United States Congress officially recognized the end of World War I and declared that the anniversary of the armistice should be commemorated with prayer and thanksgiving. An Act (52 Stat. 351; 5 U. S. Code, Sec. 87a) was approved on May 13, 1938, which made November 11 in each year a legal holiday, known as Armistice Day. This day was originally intended to honor veterans of World War I. A few years later, World War II required the largest mobilization of service men in the history of the United States and the American forces fought in Korea. In 1954, the veterans service organizations urged Congress to change the word “Armistice” to “Veterans”. 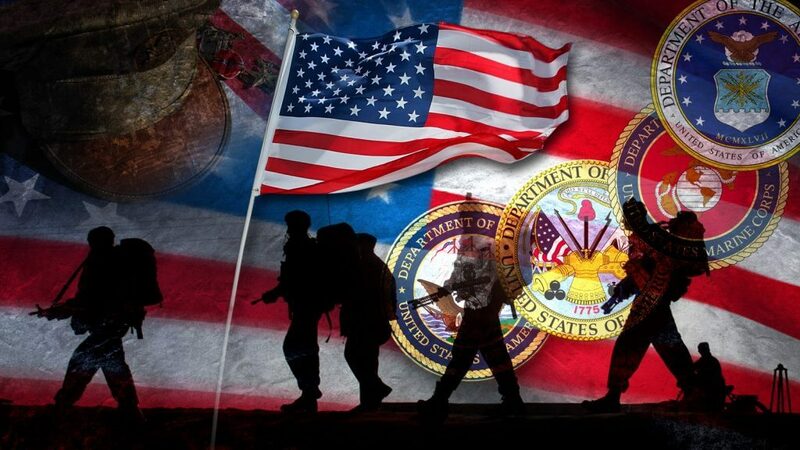 Congress approved this change and on June 1, 1954, November 11 became a day to honor all American veterans, where ever and whenever they had served. 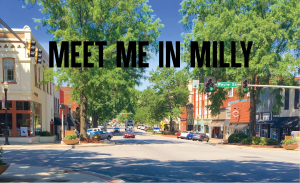 The Main Street office will be closed Monday, May 29th in observance of the Memorial Day Holiday and in remembrance of soldier sacrifice in service to the United States of America. 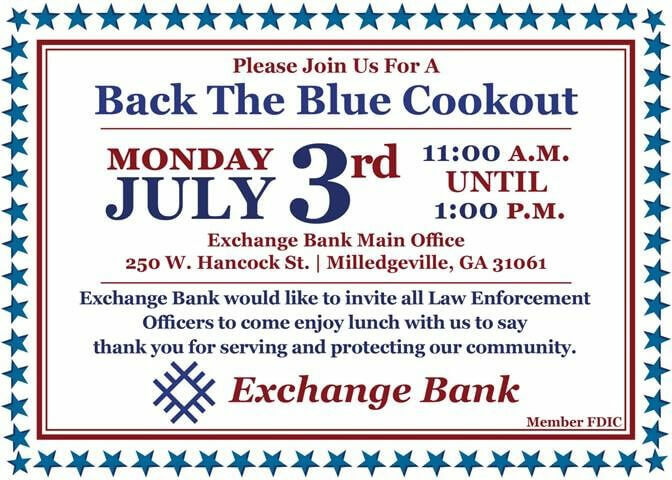 In honor of Independence Day, Exchange Bank invites law enforcement officers & community members to join them for a cookout expressing thanks and appreciation to the men & women serving & protecting our community.